We are a few days away from Christie’s special auction to celebrate the 40th year of the legendary Patek Philippe model Nautilus. The first lot covering 10 different Nautilus models will be available during the auction planning to be held in Dubai at 19th September 2016. There was a non-Nautilus Patek Philippe in the catalogue which caught our attention. Here is why..? The year 2016 will be marked as the 40th anniversary of the iconic Patek Philippe model Nautilus. In the meantime, world’s leading auction house Christie’s will be celebrating its 250th anniversary this year as well. In order to combine those very special occasions, Christie’s arranged a Patek Philippe Nautilus exclusive auction covering 40 pieces of different Nautilus timepieces to be offered in four different auctions at four different locations. This special auction will also be the very first auction of Christie’s which is exclusive for timepieces only. I am telling you all this because I saw the subject of my article Patek Philippe 4864J-001 while I was looking at the catalogue about the auction which was planned to be held in 19th September 2016 at Dubai. The same auction will also feature the first 10 pieces of Nautilus 40 lot. 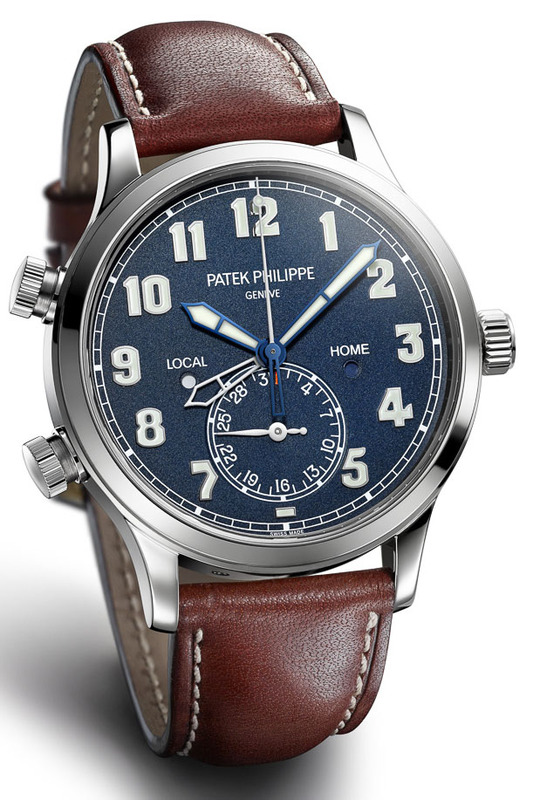 What made me interested about that little Patek Philippe is its design which makes it more like a predecessor to the recent and current models with the brand’s “dual time” complication. 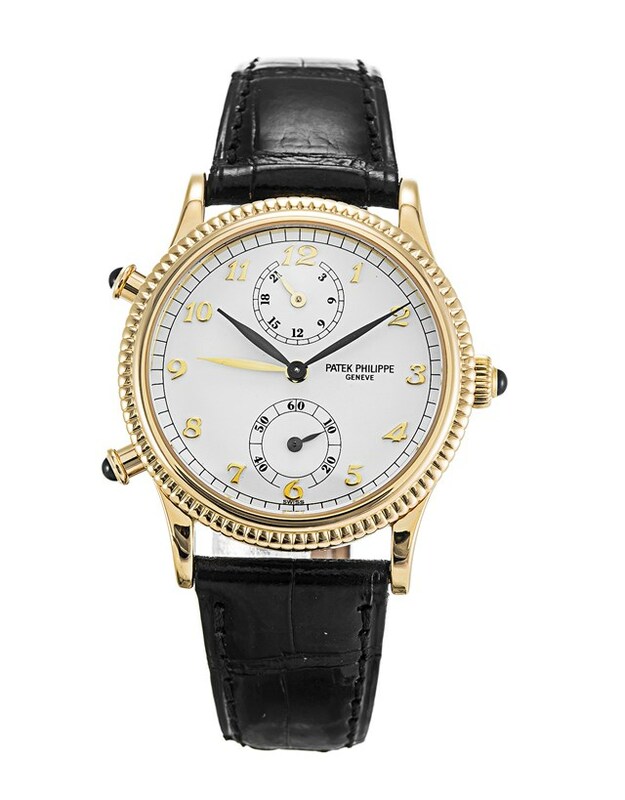 This is not an image of Christie's auction watch. 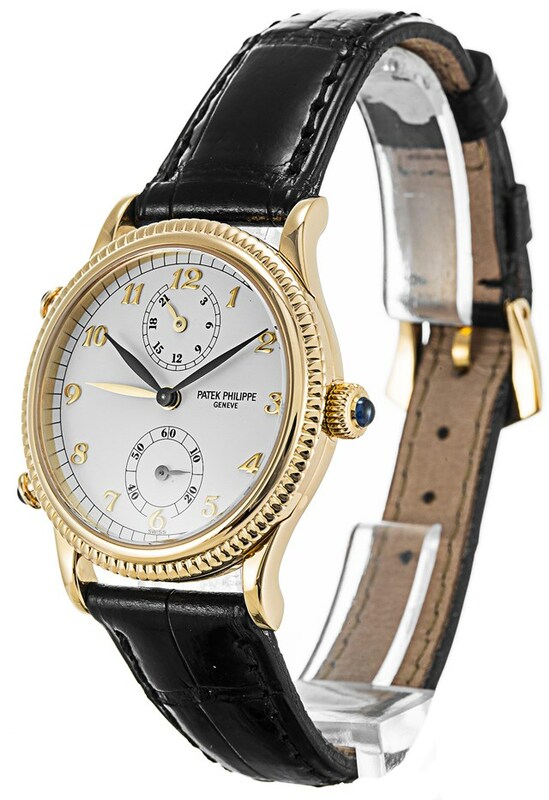 Patek Philippe 4864J-001 is offered in a 30mm diameter case made of 18K solid yellow gold. As expected from the production era ( 1997 precisely ) it expresses the elegance and glamour of a fine, traditional ladies watch from a top-end Swiss manufacturer. 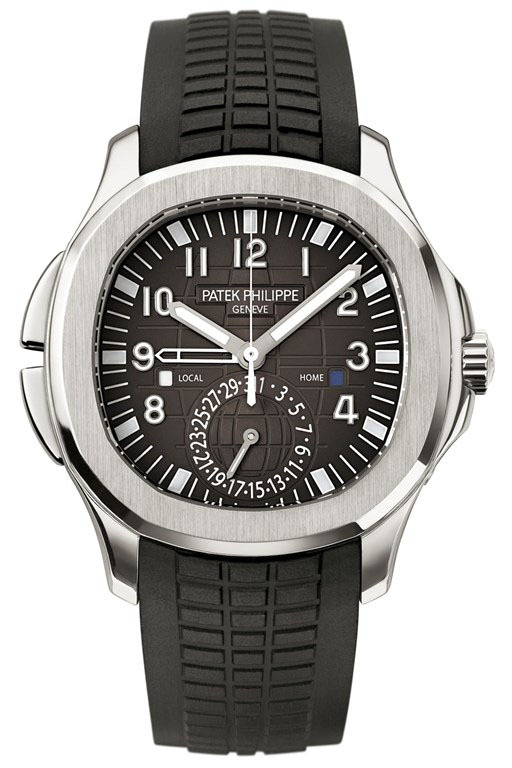 The watch is powered with the Patek Philippe Caliber 215 PS FUS manual winding movement. 18 jeweled movement beats at 28800vph and offers 44h of power reserve when fully wound. 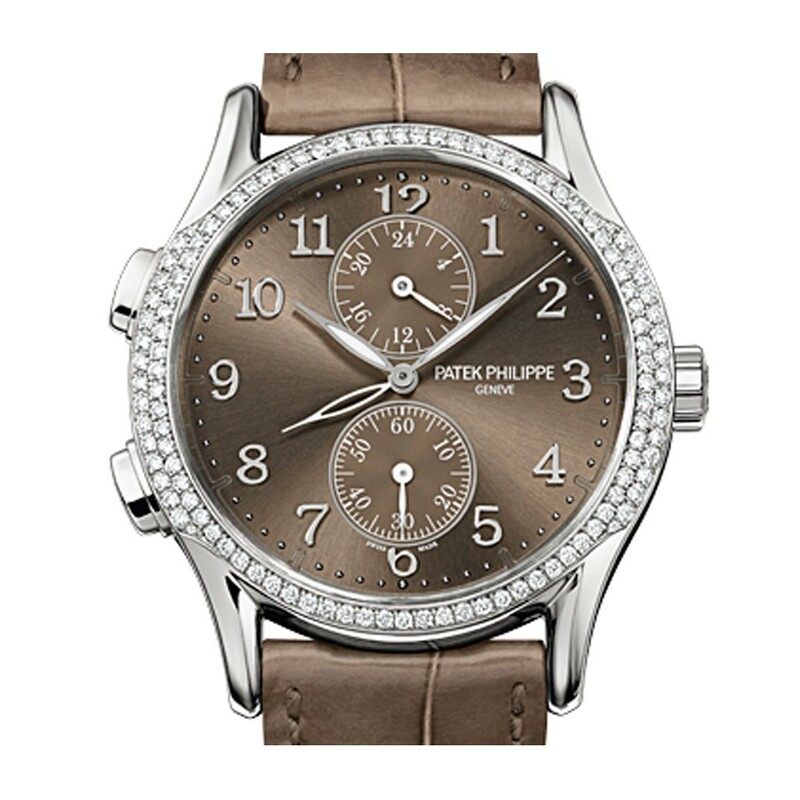 As a Patek Philippe classic, the movement is marked with Geneva Seal for its excellent visual and technical features. There are a couple of pushers located at the right side of the case which are used to set the dual time feature with a press of a button. Besides that super handy feature, the movement also sports a 24h indicator as well. The first one is from the classic Calatrava Collection named Ref. 7134G-001. Despite the fresher and more modern visuals, it strongly reminds the Patek Philippe 4864J-001 with its dial layout and movement. Apparently, the modern version differentiates from its 20 years older predecessor with its 35mm diameter case and fancy diamond setting only. The second one is the Ref. 5134P-001 which is another discontinued model like the Ref. 7134G-001 but, slightly younger as it was still in production a few years ago. 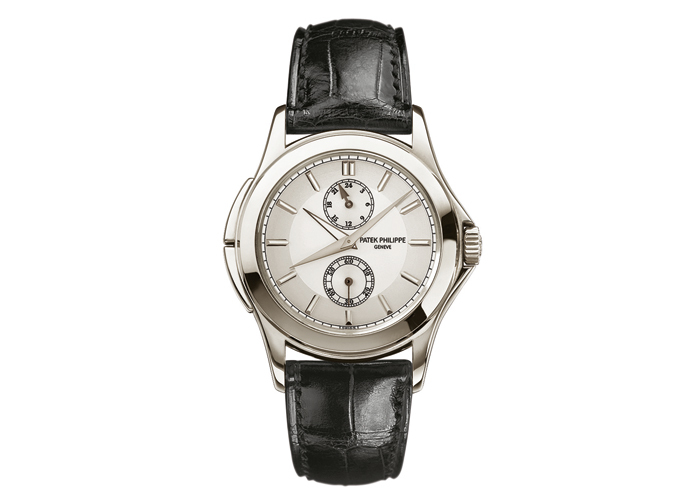 This beautiful Patek Philippe features a 36mm diameter case which is made of Platinum. While the overall design recalls the older Ref. 4864J-001, the same Caliber 215 PS FUS obviously proves the similarity part. When we get to the current product line of Patek Philippe, there is a pair of models which reminds me the Ref. 4864J-001 but this time, the similarity is limited to functions only. The timepieces are the Ref. 5164A-001 from the Aquanaut Collection and the Ref. 5524G-001 Calatrava Pilot Travel Time which was the shining star of Baselworld 2015. While the overall dial layout of those models looks similar with each other, they are pretty different from the models I mentioned earlier above. However, the functionality of both timepieces is quite same as they feature the same dual time function with push button adjustment. Ref. 5164A-001 and Ref. 5524G-001 share the same movement Caliber Ref. 324 S C FUS. 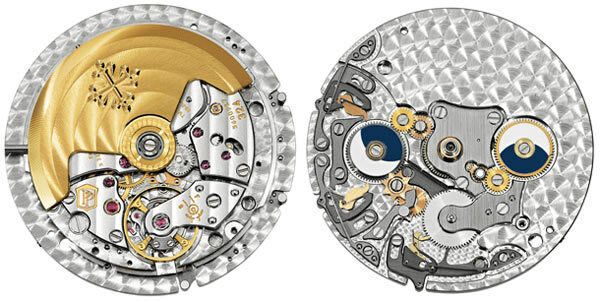 The automatic movement was based on the manual winding version in the Ref. 4864J-001 model. 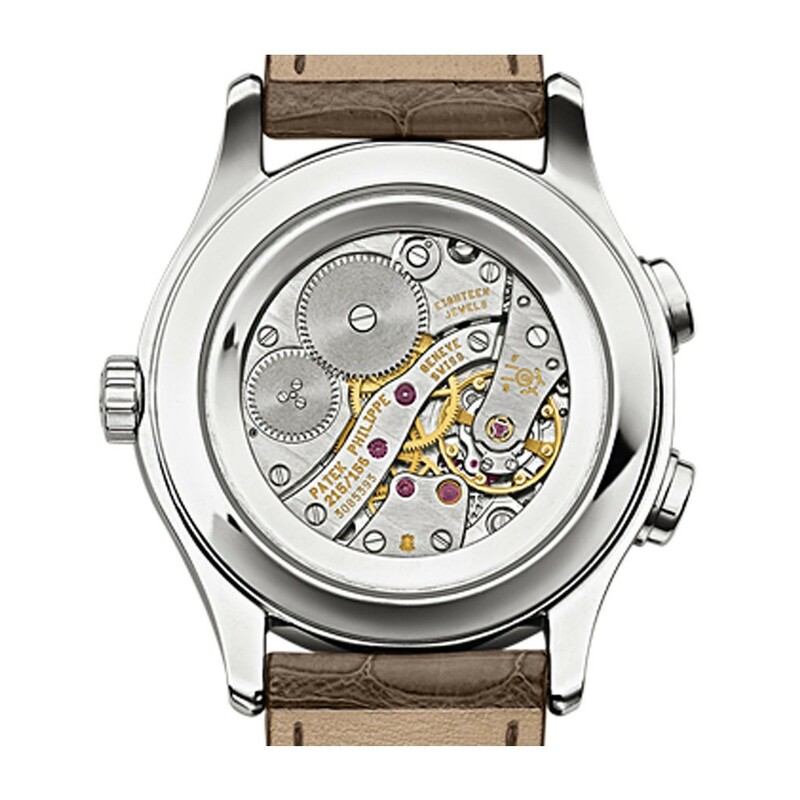 29 jeweled movement beats at 28800vph and offers a 45h power reserve when fully wound. At the end of the day, we still can see the same design and even the same movement in many modern Patek Philippe timepieces after a 20 year period. I believe this is one of the reasons which make Patek Philippe an essential for auctions. The samples above tell the same.